Who cleans Athens? Why are the majority of Athens’ cleaners women and immigrants? Were they »born« cleaners? How do their CVs differ from yours? Maybe, in the end, we’re all subjects to history? And while we’re at it, why do we use the phrase »a clean sweep« to describe police operations intended to rid public spaces of »undesirables« (immigrants, the homeless, »deviants«)? The directors Anestis Azas and Prodromos Tsinikoris explore the racism of »cleanliness« and »purity«, the perils of fascism, female immigration in Greece, and the identity of the »cleaning lady«. 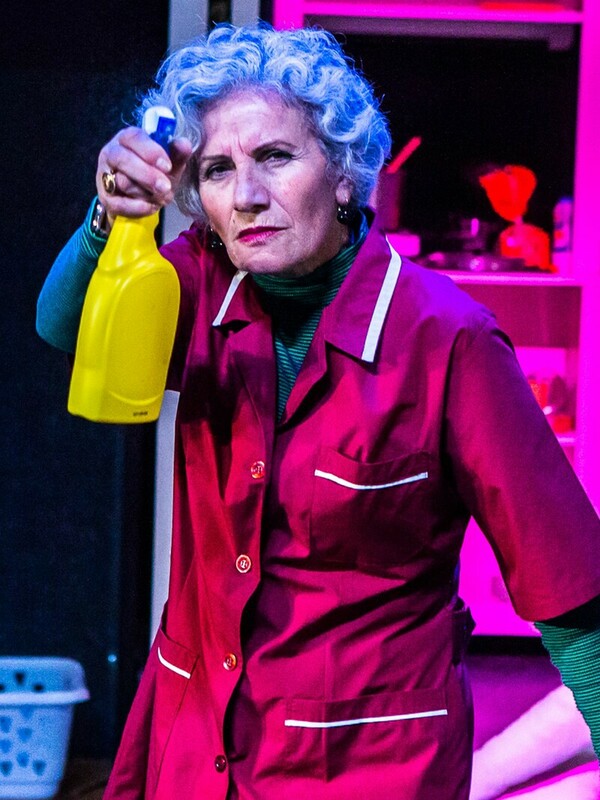 As a theatre of the real, Clean City traces and redefines stereotypes through the gaze and personal accounts of the real experts when it comes to cleanliness: the immigrant cleaning ladies of Athens. At the same time, Clean City explores the historical, philosophical and political dimensions of »clean« as a normative concept which was adopted by the Nazis and became a central pillar of a racist ideology which sought to exterminate all »others« to create a »pure« race. In 2016, Clean City premiered at Onassis Cultural Centre Athens and since then has been invited to various theaters in Europe, including the Münchner Kammerspiele. It is part of Europoly, an initiative of the Goethe Institute, which supports performances exploring Europe in times of transformation. The idea for this project arose a few years ago, at the peak of the economic crisis, when the the slogan »clean up the place« could be heard everywhere and some Greeks who needed scapegoats targeted foreigners, immigrants or refugees who live in our country. Anestis Azas, born 1978 in Thessaloniki, and Prodromos Tsinikoris, born 1981 in Wuppertal, both live and work in Athens. Many of the plays they developed together have been shown at important theatre festivals across Europe, a. o.: Young Directors Festival, Karlsruhe/ Strasbourg and Chantiers d’Europe, Paris. Since October 2015 they are artistic directors of the Experimental Stage [-1] of the National Theatre in Athens.